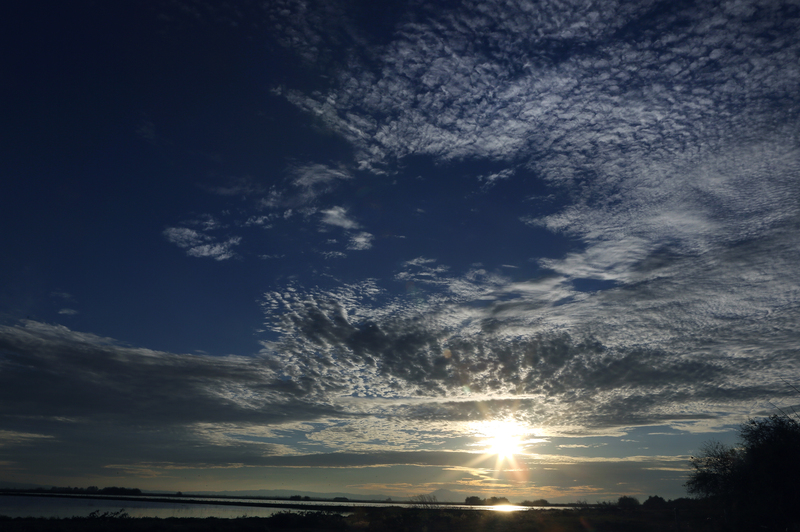 Sunset at Isenberg brings a variety of changes to the landscape. 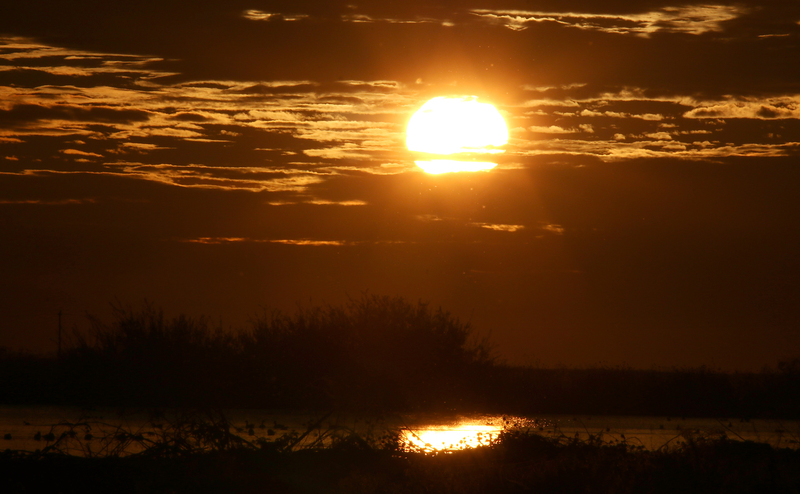 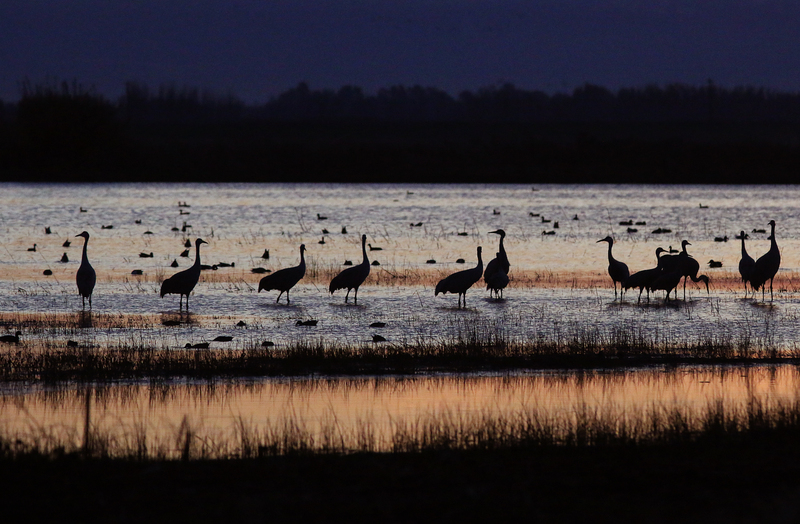 The shadows grow longer as the sun sinks along the horizon, the colors in the sky grow warmer and the air is filled with trumpets of sandhill cranes announcing their return to the wetlands. 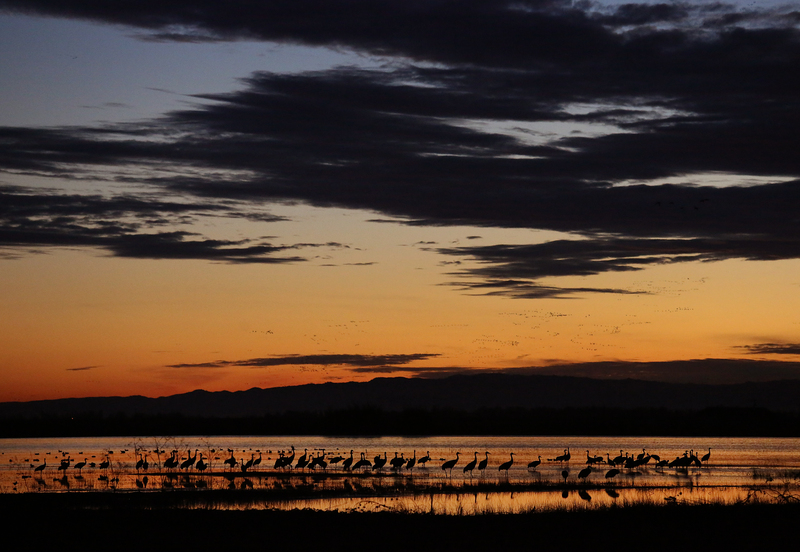 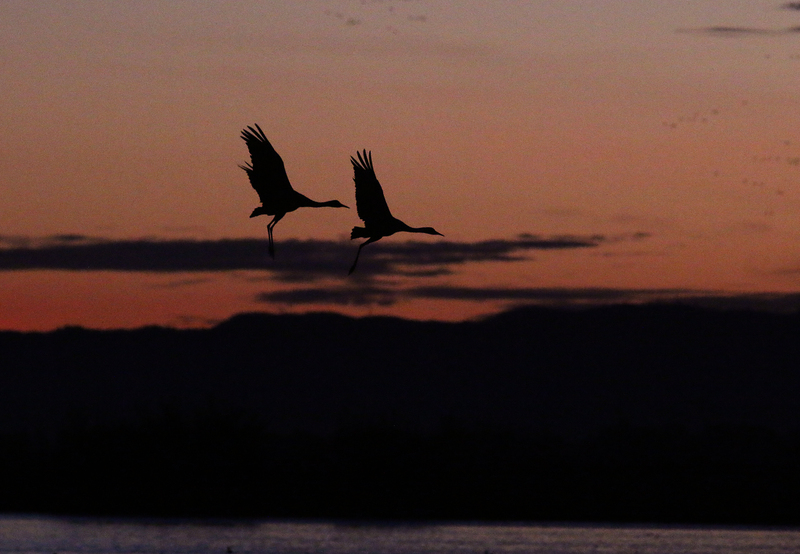 It is a fine time to stand in the cool evening breezes and watch the sun slip beyond the horizon as the cranes settle in for the night. 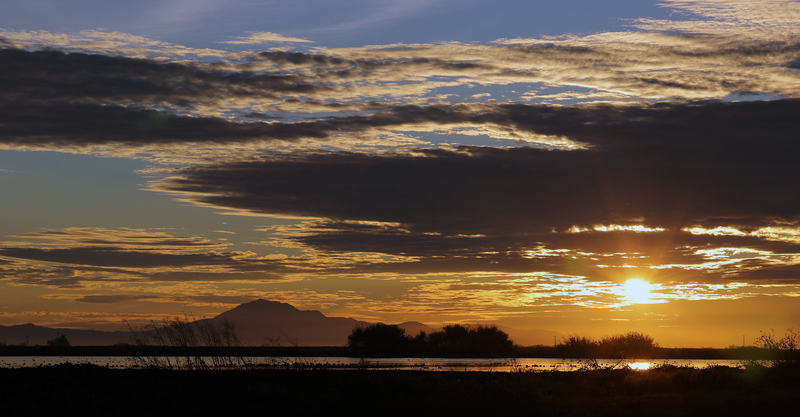 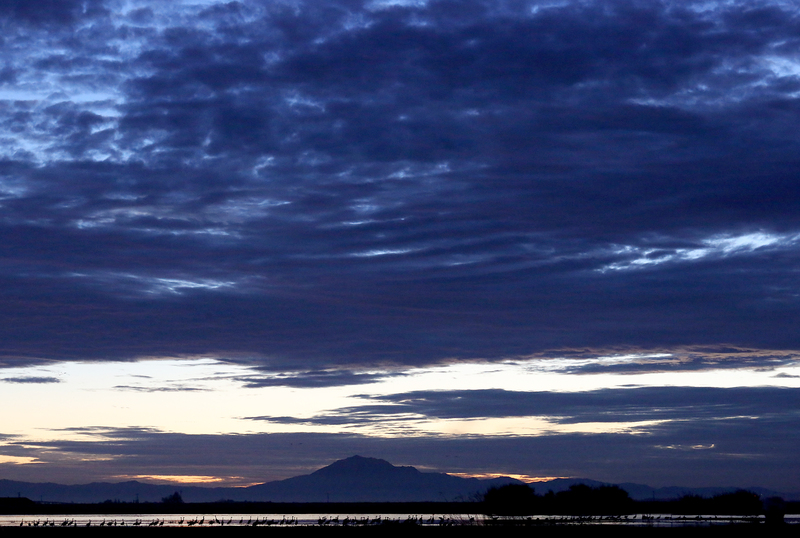 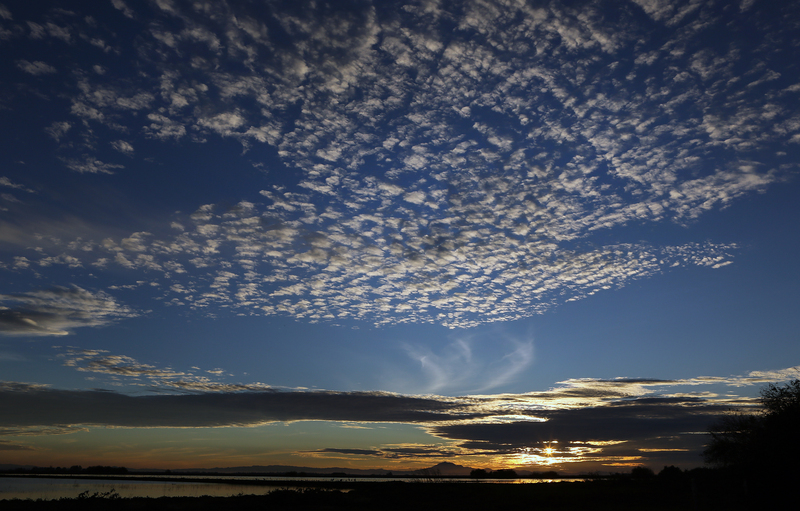 A thin cloud layer stretched over the wetlands as sunset approached. 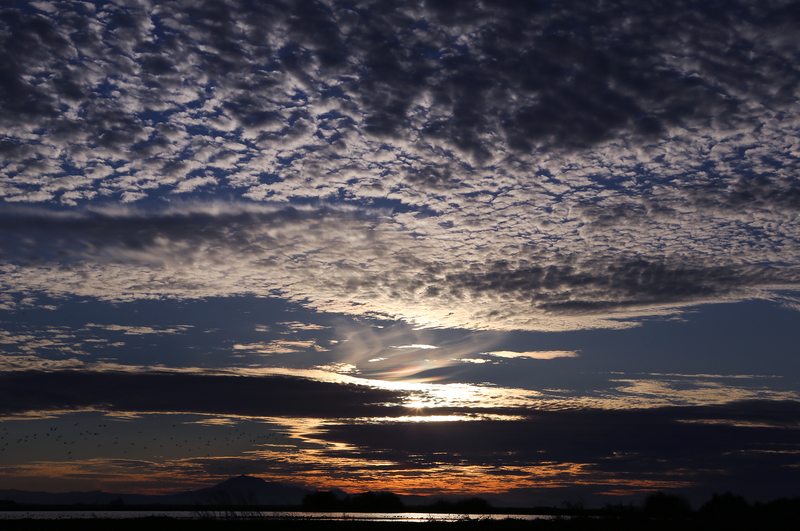 Mild November temperatures left the water free of fog as the sunlight waned filter through the patchwork of clouds. 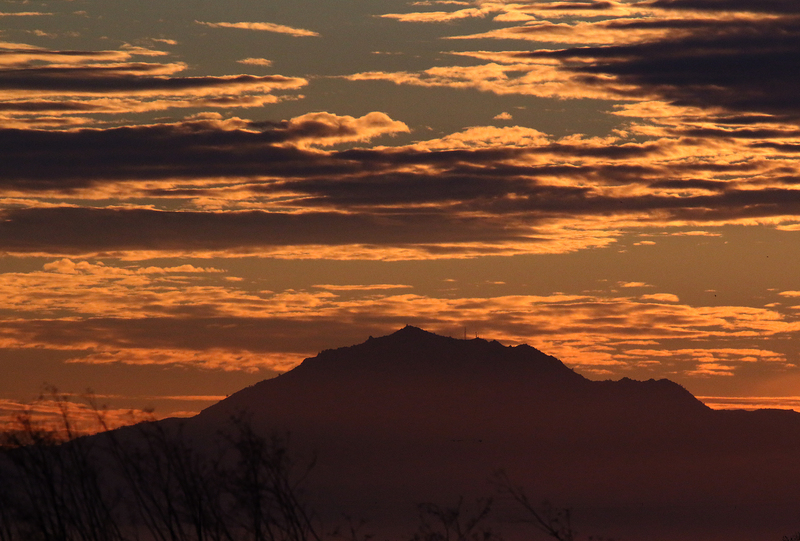 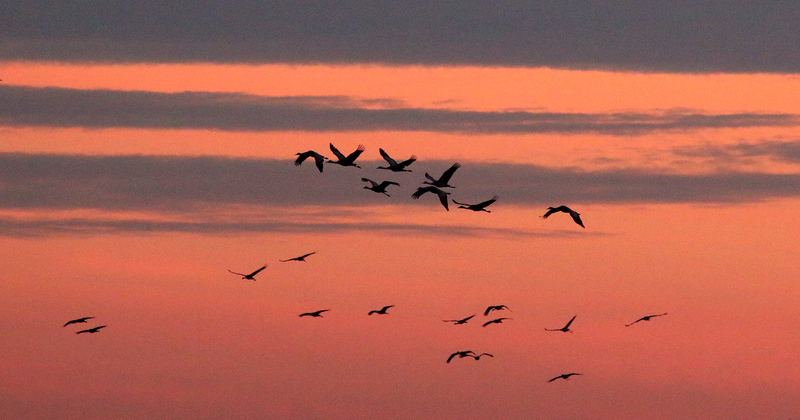 As sunset approached the sky slipped from blue to orange as the last rays of light shone across. 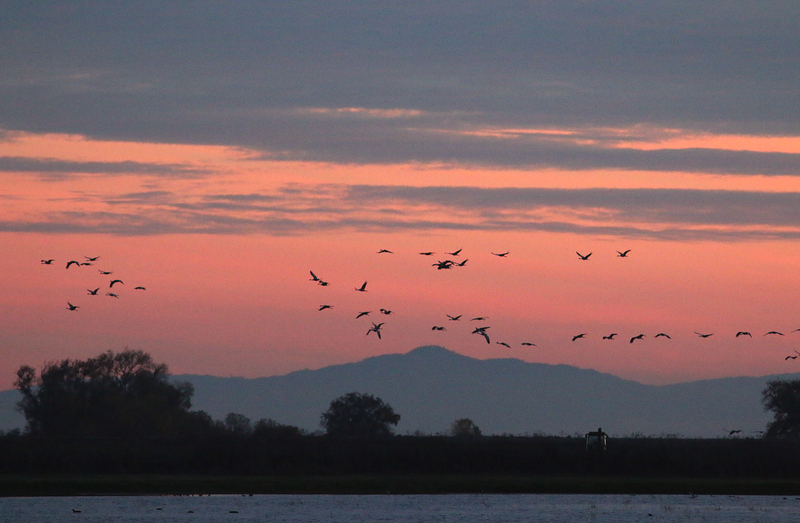 The sky grew tones of maroon as the light waned and dusk filled the sky. 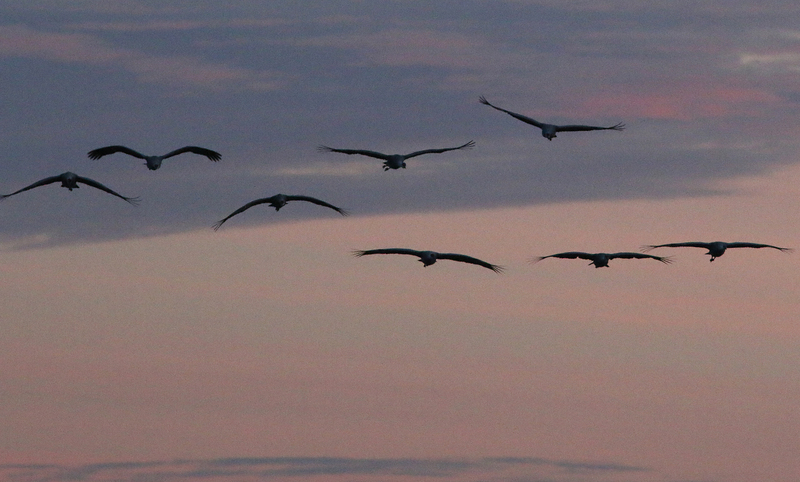 My time for photographing at Isenberg is nearing an end for the season. 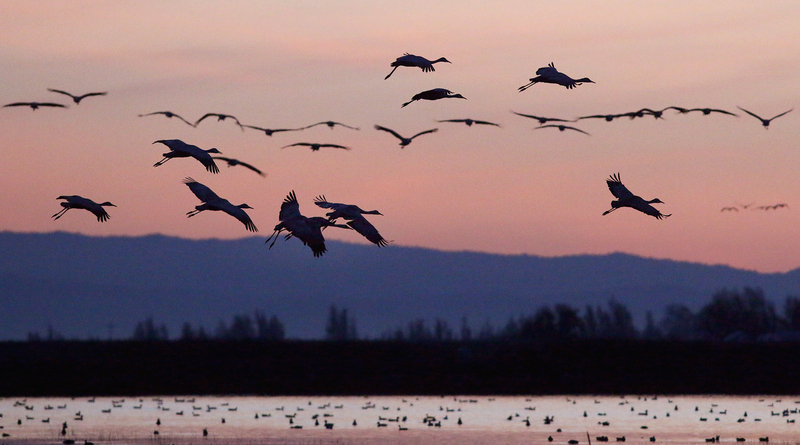 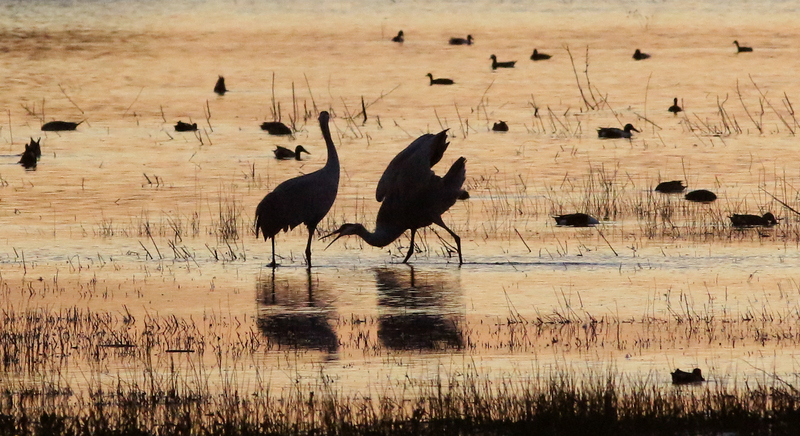 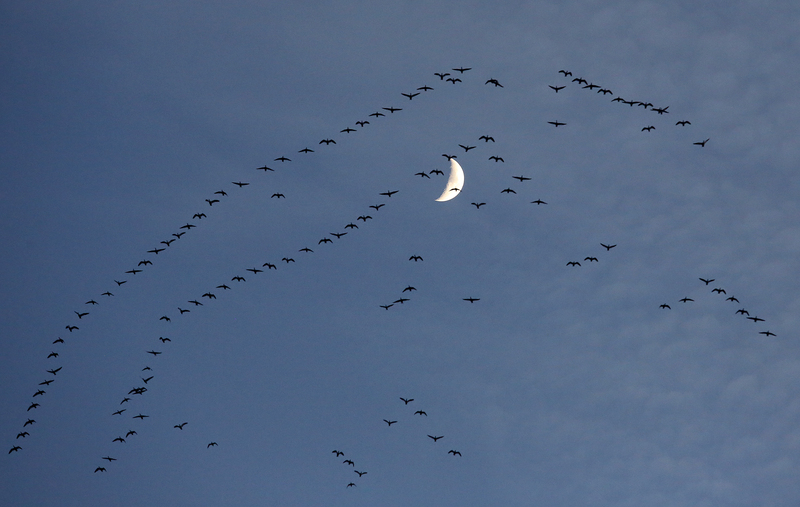 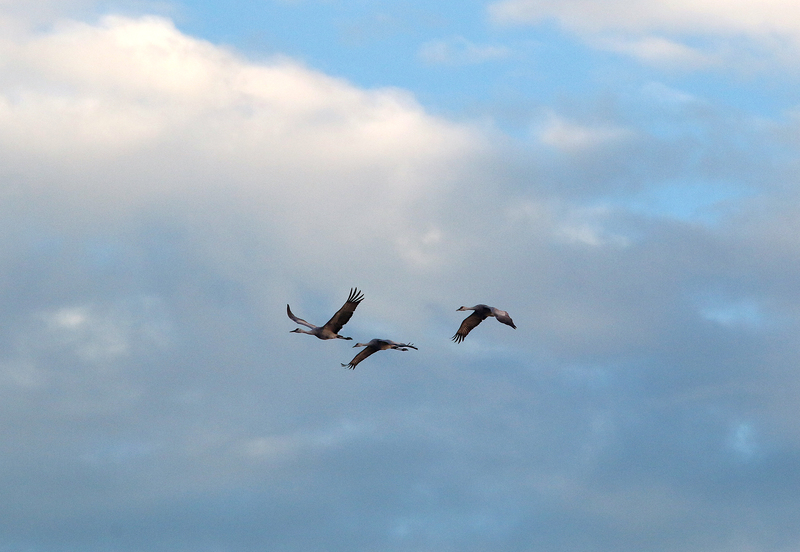 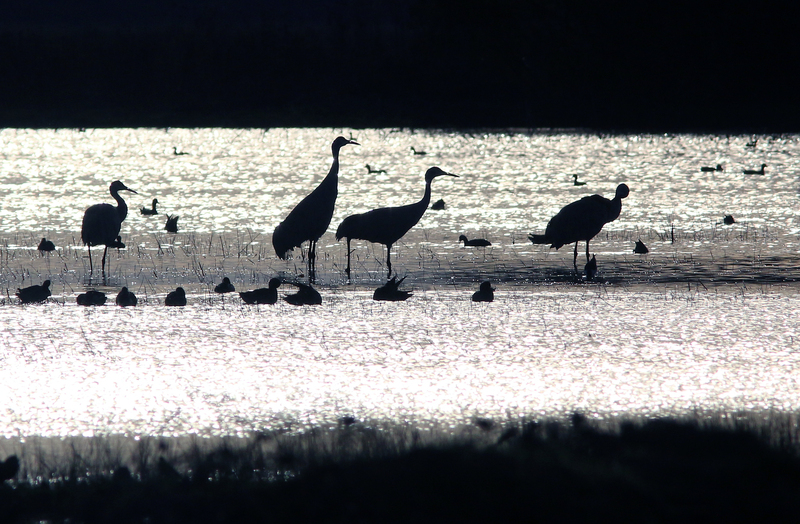 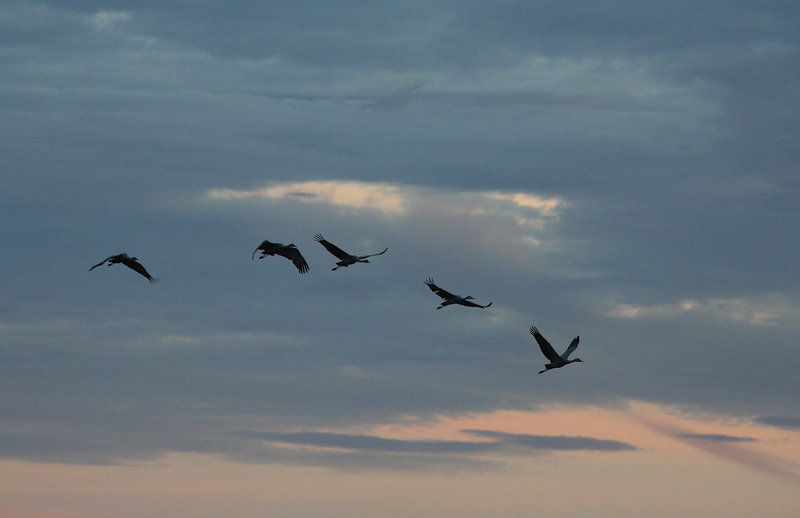 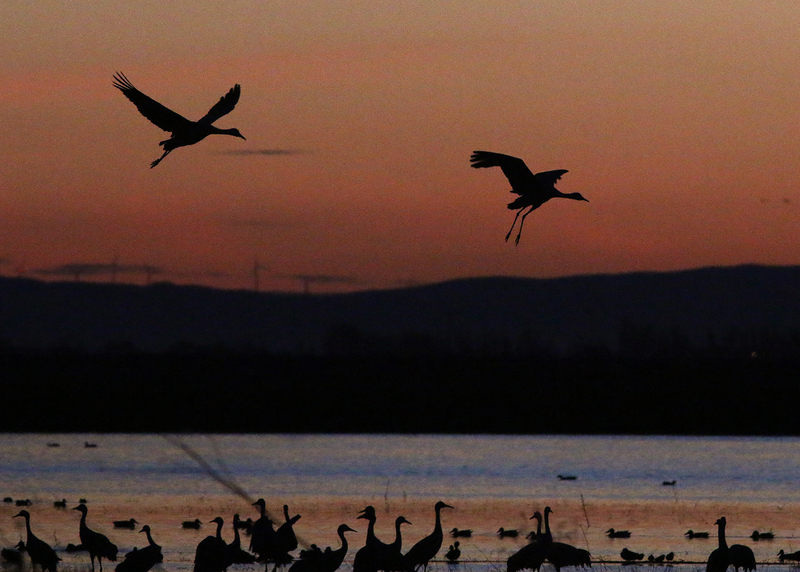 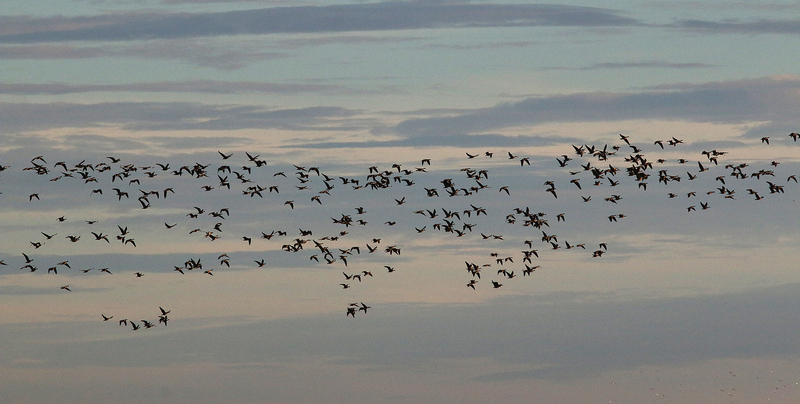 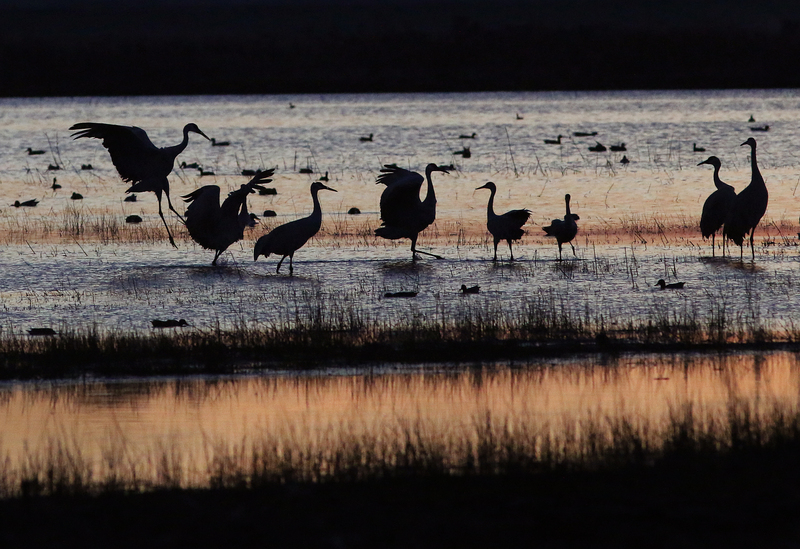 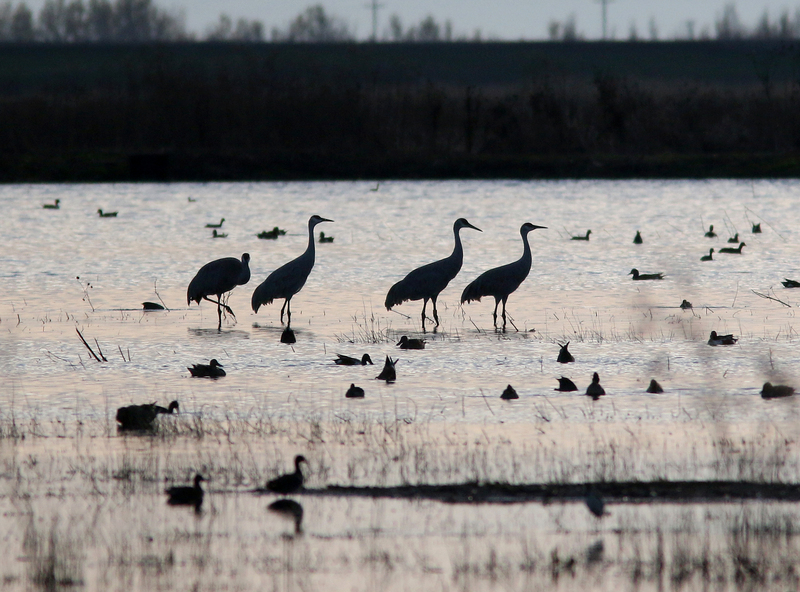 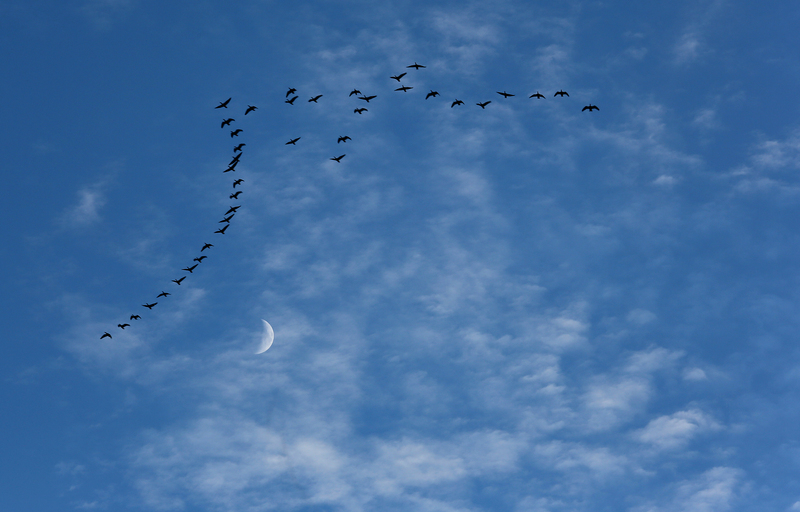 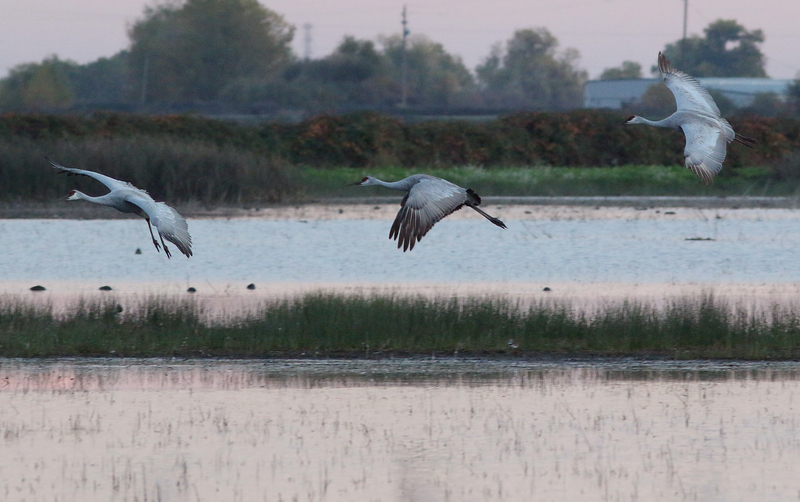 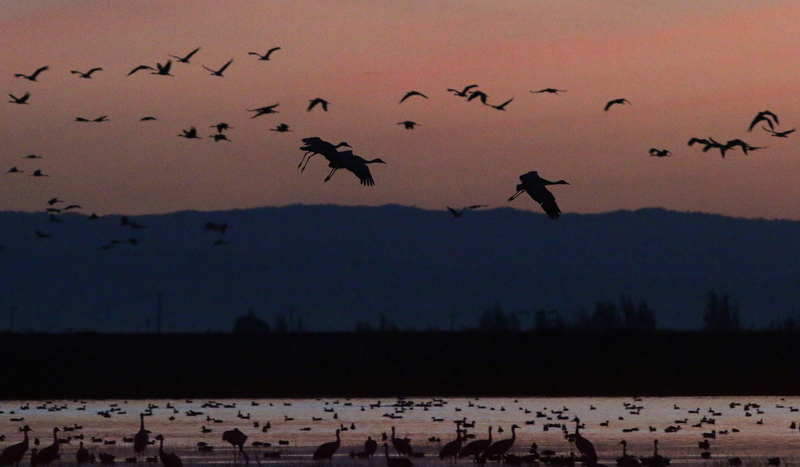 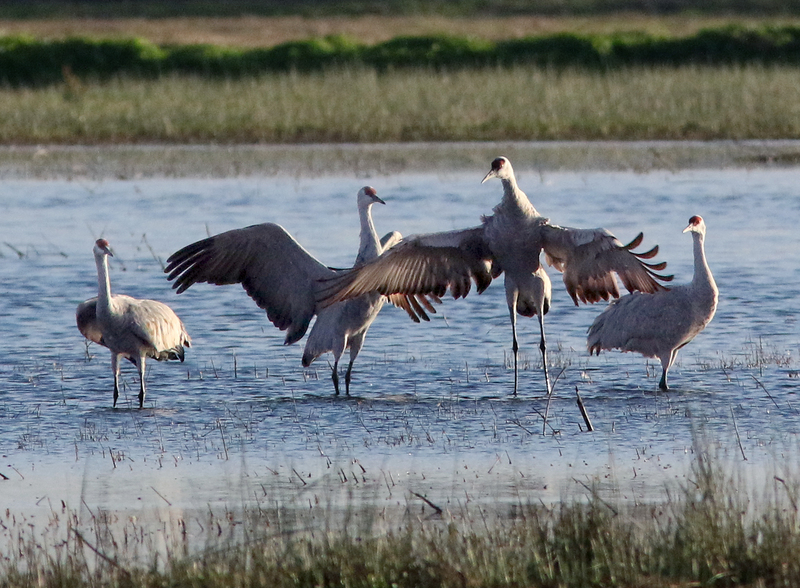 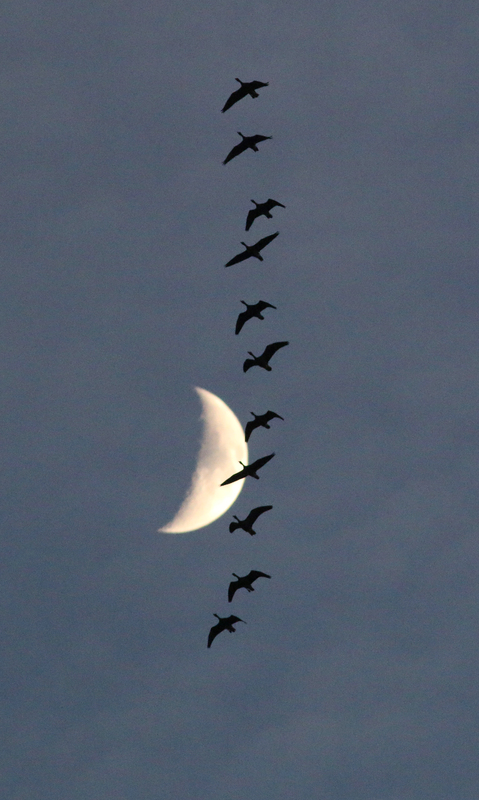 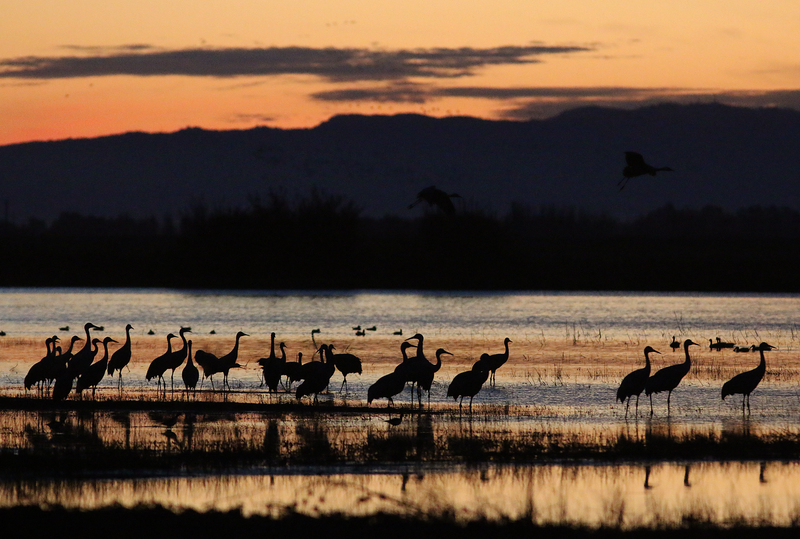 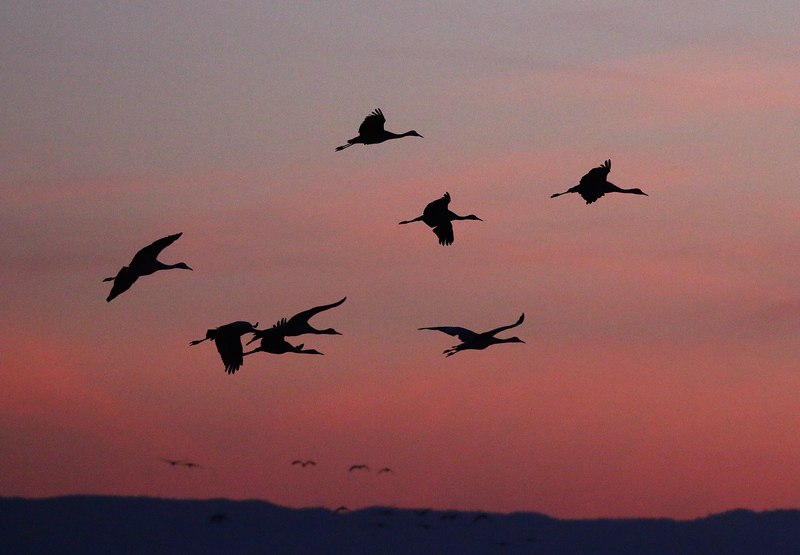 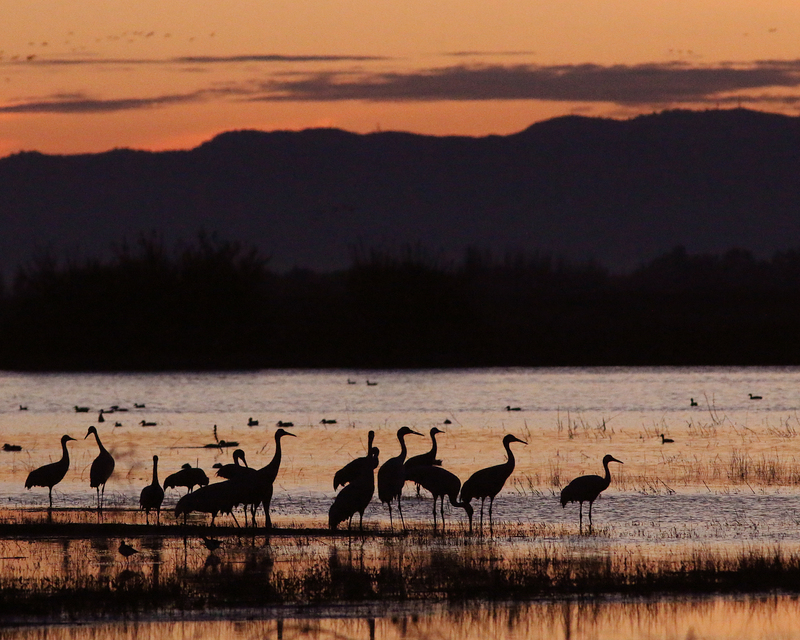 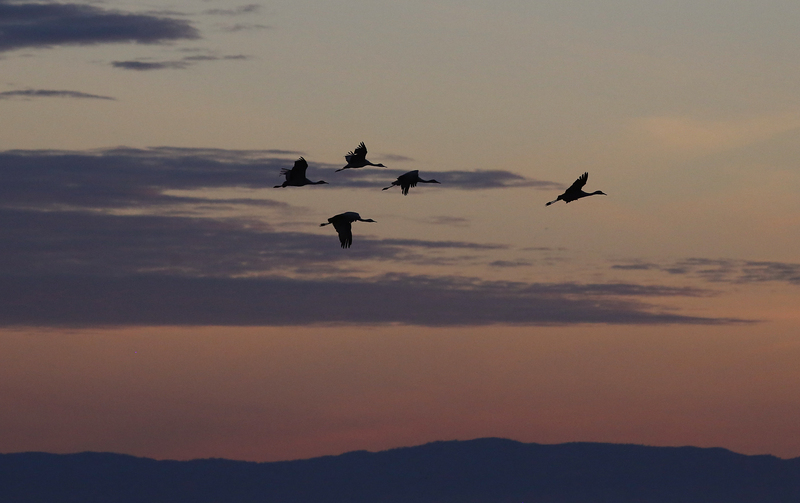 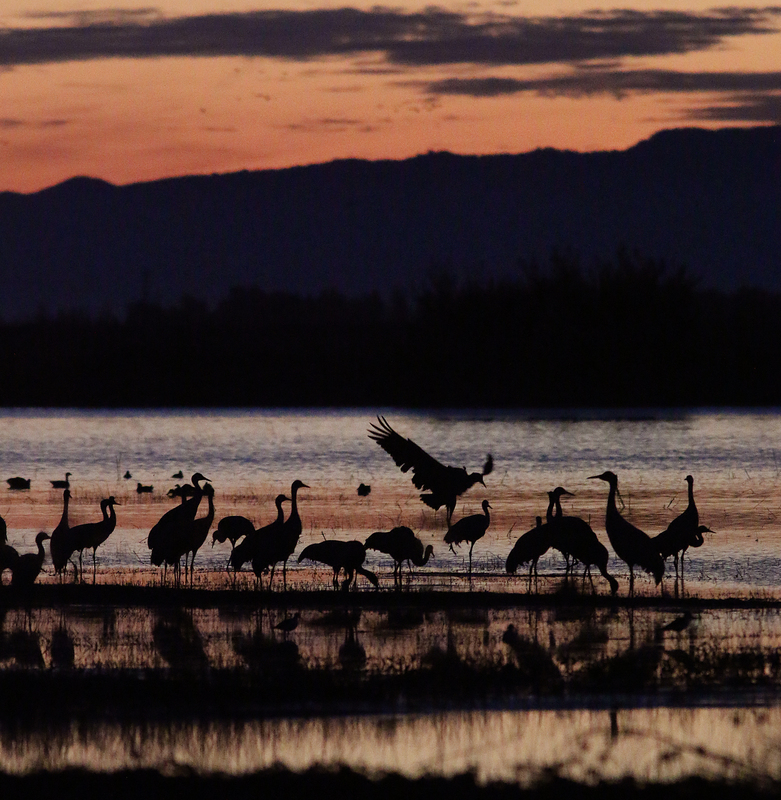 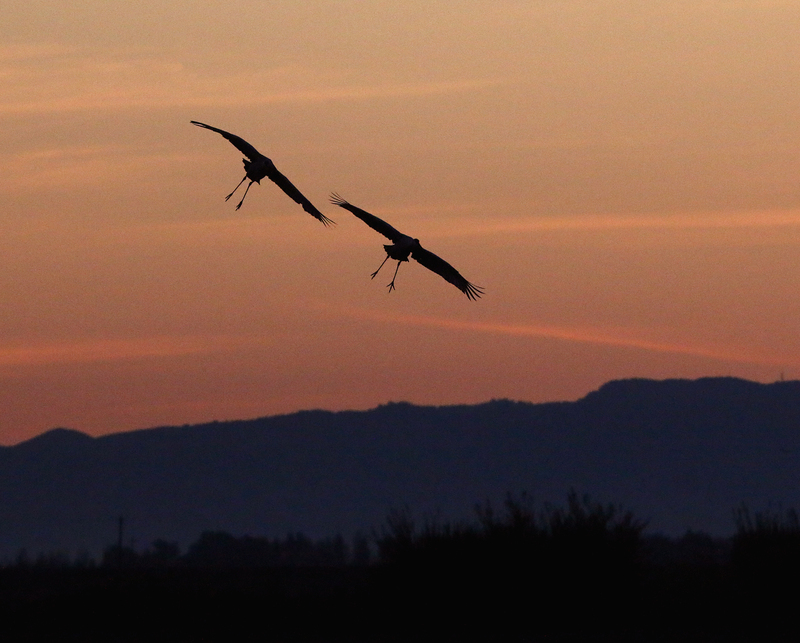 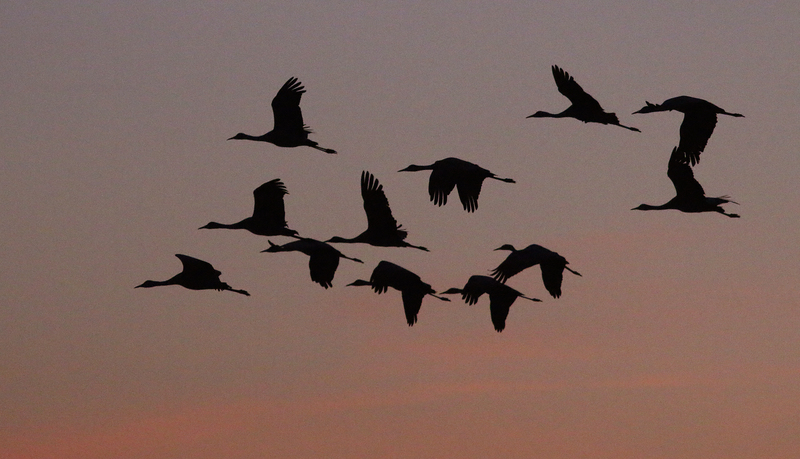 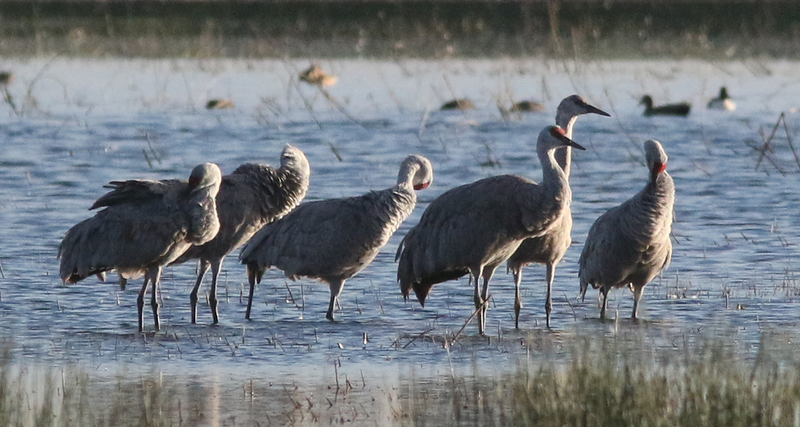 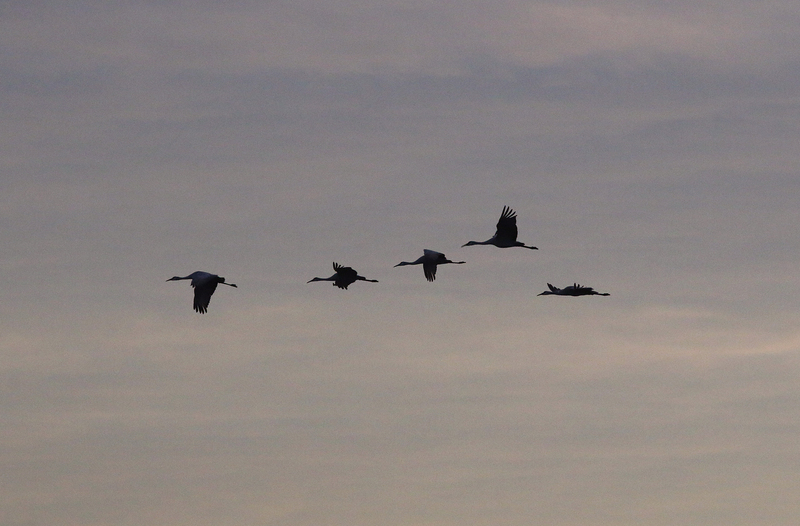 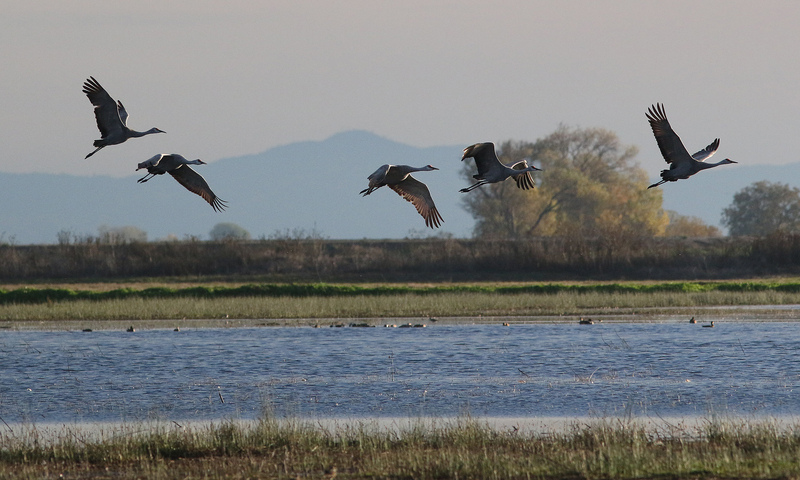 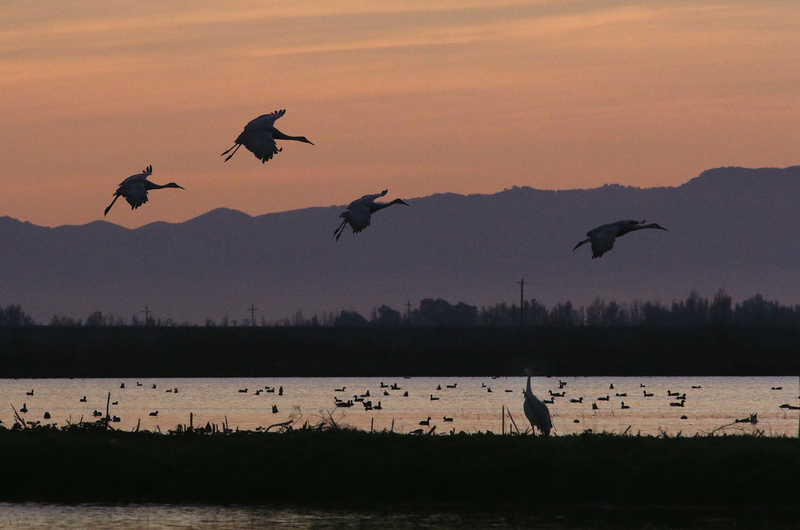 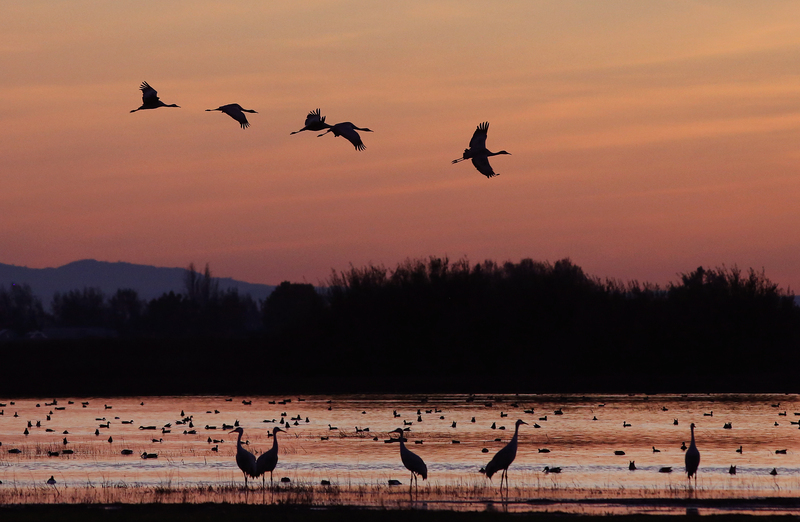 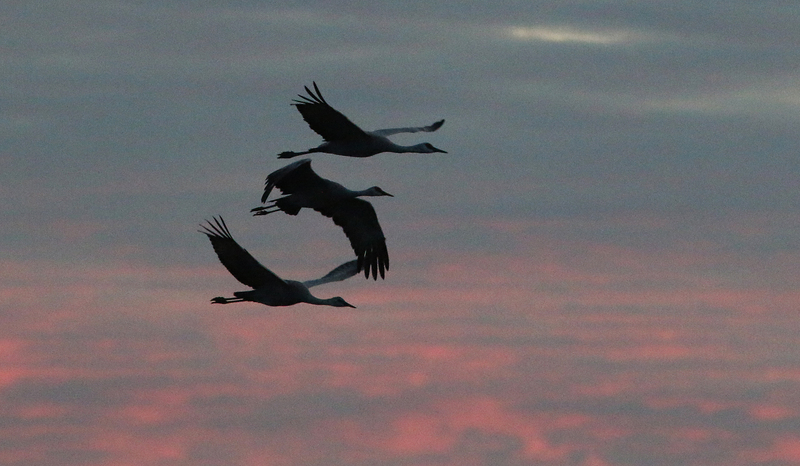 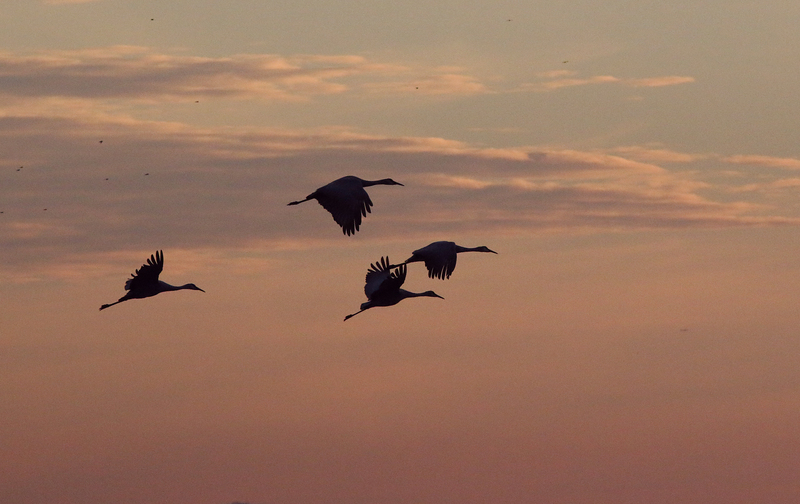 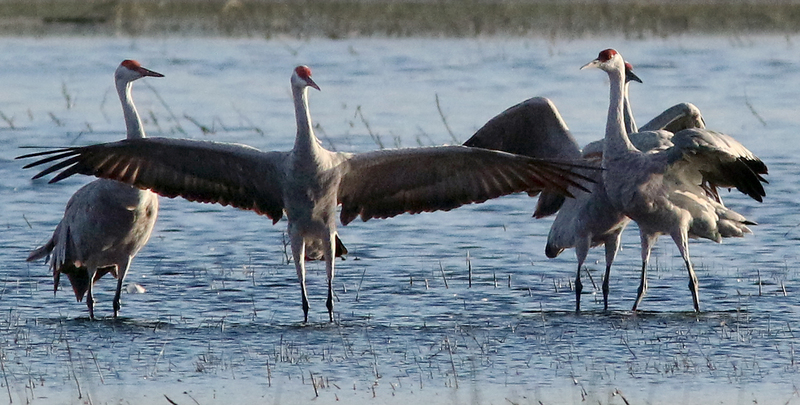 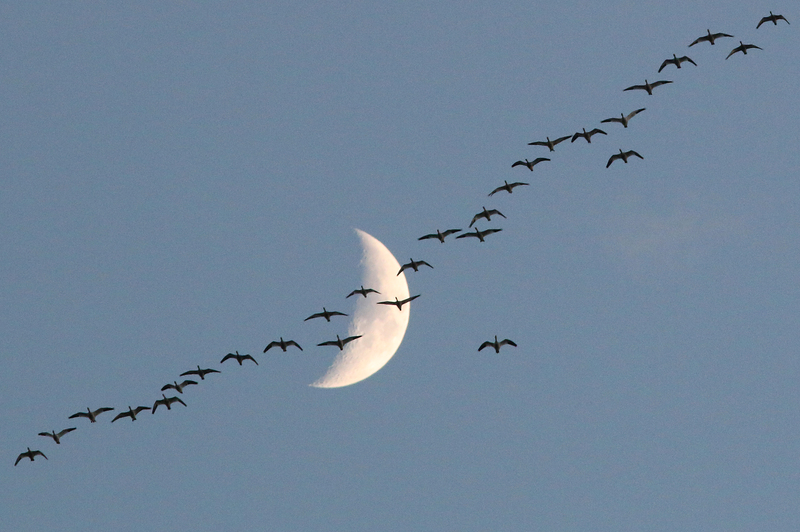 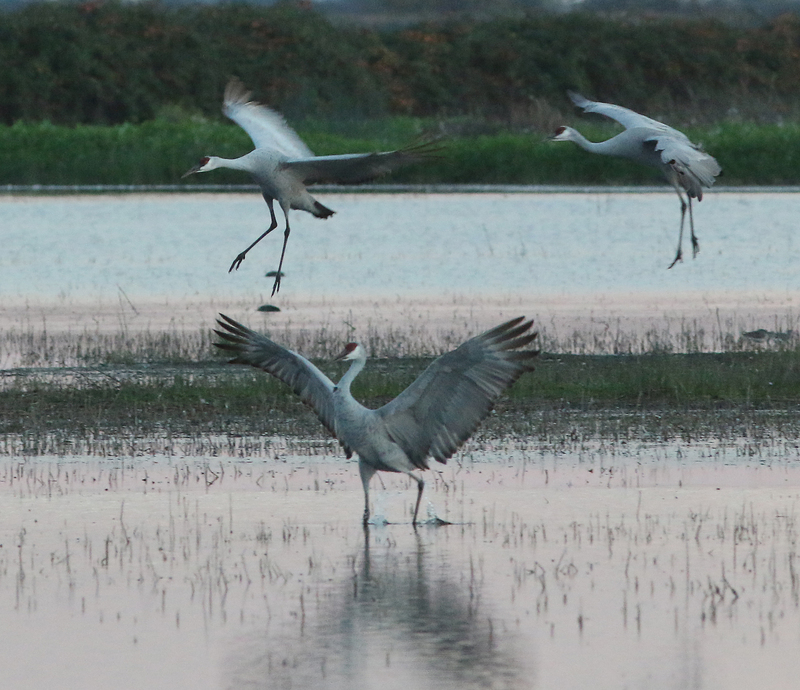 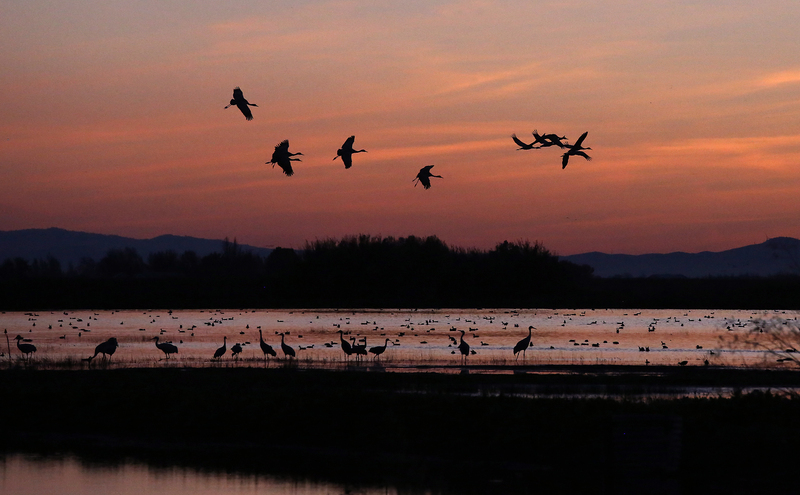 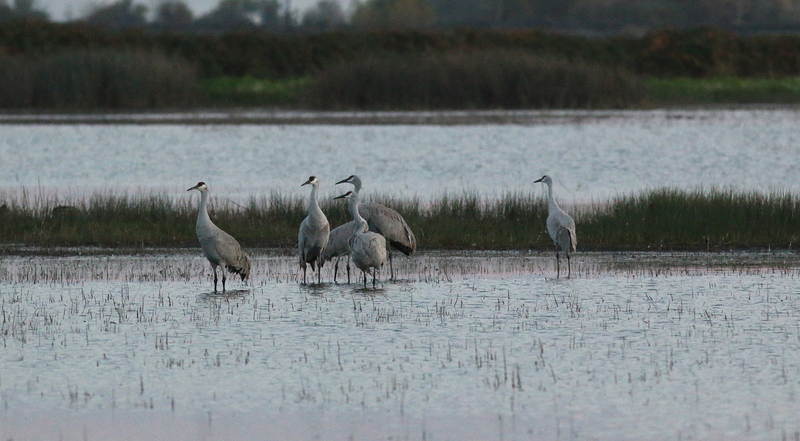 Soon the cranes will move on to warmer habitats to the south during their winter migration. 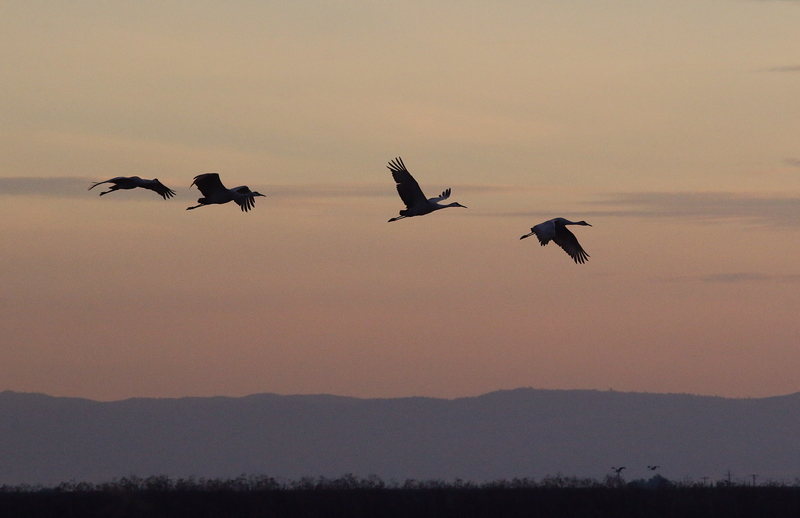 I have at least one more sunrise and sunset trips planned for next month before bidding the cranes and the wetlands farewell until next year.